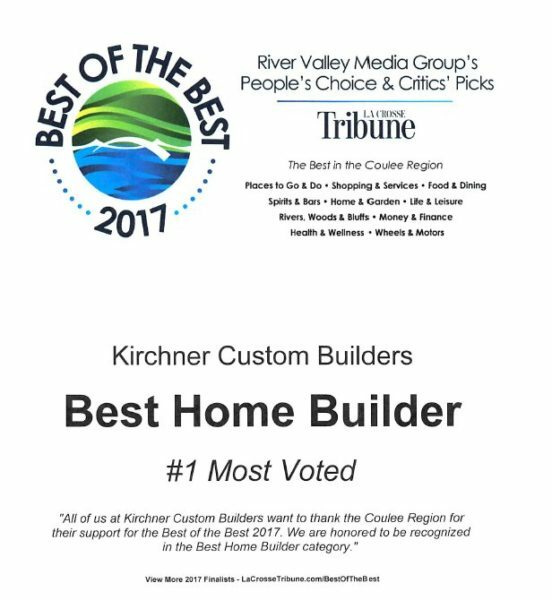 Based on his years of working with clients building custom homes, Marty Kirchner, of Kirchner Custom Builders, offered a residential contractor’s perspective on the financing aspect. His advice: Choose a small to mid-sized local lender, get preapproved for your loan, and design your home to your budget. If you will be pursuing a construction loan for your new custom home, follow these 3 tips to ensure that the financing process goes smoothly. 1. Choose a local, small to mid-sized bank or credit union. A local lender is going to offer a more personalized experience and be more responsive than a big bank. National banks are big, and you are one of thousands of clients. This can be a problem when you have questions or need help with something urgent. It can be difficult to get quick responses which leads to delays and frustration. That is less likely to happen with a local bank or credit union. If you go local, you will develop a relationship with your loan officer. Your loan officer will be your single point of contact, he or she will be easily accessible, and you will be able to call him or her directly. Your loan officer will be there to help throughout the entire borrowing process. Local lenders know more about the local market. A local lender is knowledgeable of the regional housing market and is familiar with local appraisers, this allows for a more accurate loan valuation and better odds of approval. 2. Talk to a loan officer and get preapproved before making any home design plans. Meet with a loan officer and learn about the financing process before investing any time or money into your home construction plans. There’s a lot to know about home construction loans. They’re quite different from mortgage loans for existing home purchases. It’s important that you talk to a professional loan officer to get expert information on the process and to get preapproved. Getting preapproved for your home construction loan lets you determine if your loan amount will be sufficient for the home you want to build. Assumptions can lead to disappointment. You may think you can easily afford that $500,000 home construction loan based on your income, but the bank may disagree. Lenders use very specific formulas to calculate the amount they will loan to you and income is just one of the factors. Credit scores, existing debts, and the current home construction market are some of the other considerations. The last thing you want is to put hours and hours of work into the planning and design of your home only to find out you can’t get the funding. Find out exactly what you are eligible to borrow first. Once you know the amount you are approved for you can decide on your budget and begin working with your contractor. 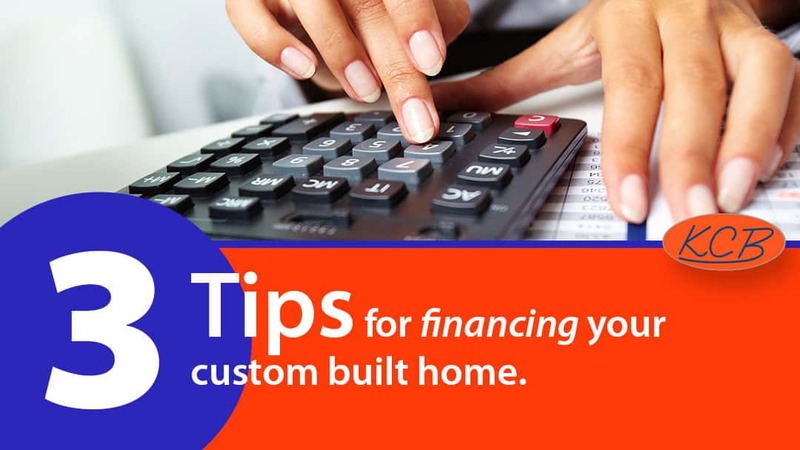 Get informed about financing your custom built home. In addition to getting preapproved, talking to a mortgage lender will also inform you of what to expect throughout process of financing the construction of a custom built home. Such as how much you will need for a down payment, how to finance the land purchase, and how the construction costs are paid. He or she can also tell you how the payment amount is calculated and what you will be expected to pay each month during construction. Keep in mind, preapproval is not a guarantee of the loan, it is preparation for the loan. But knowing the amount you are approved to borrow will ensure that you plan within your budget. Going from preapproval to loan. You will apply for the actual loan after you have specific plans drawn up by a professional; including a detailed draft of the home design, comprehensive construction plans, and itemized construction costs. Banks will often require a signed construction contract to finalize the loan. 3. Design your home to your budget. Your home designer (contractor, draftsman, and/or architect), needs to know a precise budget. Regardless of the amount you are approved to borrow, investigate what you can afford based on your own unique financial situation. Do you spend a lot on travel? Is there a career change in the foreseeable future? Will you be having children or sending children to college? These are considerations only you can evaluate, not the bank. The bank can calculate the maximum loan amount you are eligible for but that doesn’t mean it is the right amount for you to spend. Choose an amount you can comfortably afford and design your home to your budget.